Find the number of years, days, and even seconds between 2 points in time. Add or subtract any number of days or other time units. Then export, share, or save the result — all at the touch of a button. 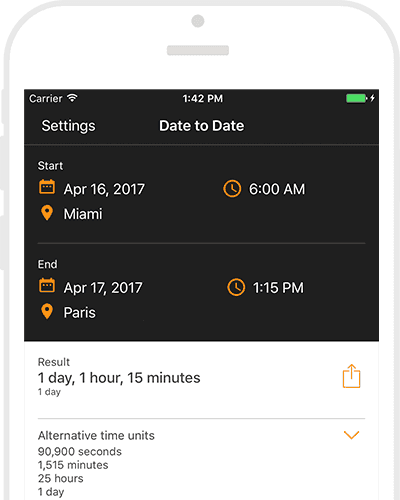 Navigating date and time spans has never been easier! Got a deadline in a few months? 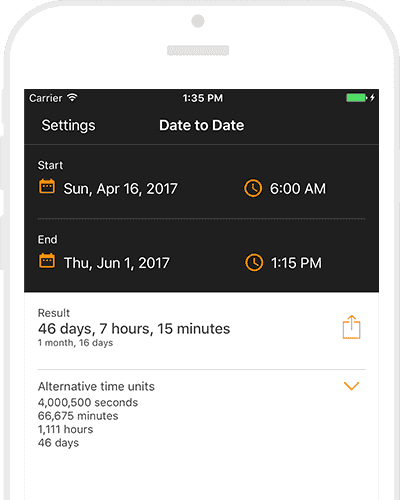 The app calculates the number of days, minutes, and even seconds left to complete the task. Want to find the date 90 days from today? Or 90 weeks ago? The answer is just a few taps away. 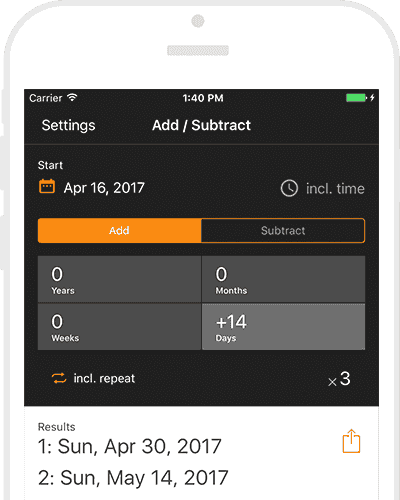 Get Time & Date Calculator!